NBA superstar LeBron James has once again proven why his greatness goes beyond basketball after he pulled off a clever on-court fashion statement that promoted equality. 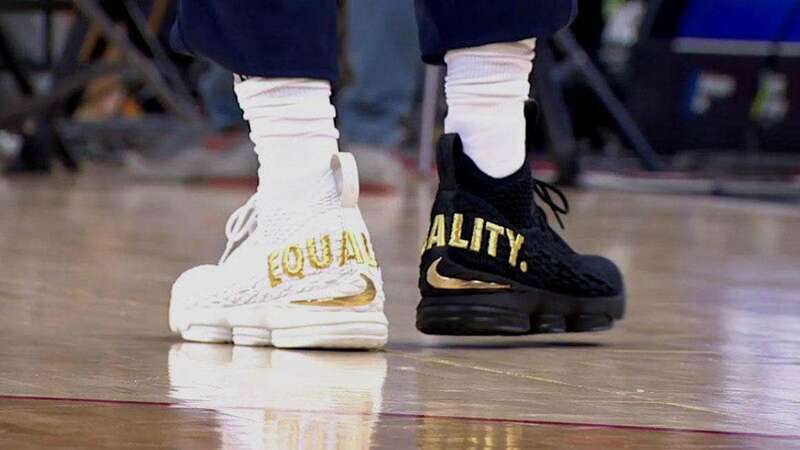 During the game between the Cleveland Cavaliers and the Washington Wizards, James slipped into a mismatched pair of black and white Nike LeBron 15 "Equality" sneakers in an apparent statement to US President Donald Trump, who was only about a mile away in his office at the White House. The move seems to have paid off after the three-time NBA champion bagged the 61st triple-double of his career (20 points, 15 assists and 12 rebounds) as the Cavs secured a 106-99 victory over the Wizards. This isn’t the first time LeBron used his celebrity status to get his social points across. He has previously voiced out direct criticisms against Trump and his policies, which he believes are dividing America instead of uniting it.